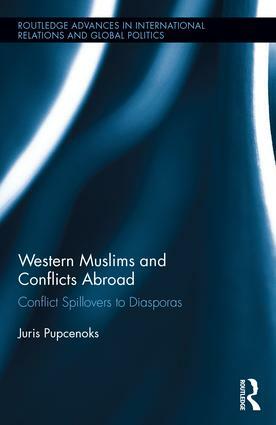 This book explains why reactive conflict spillovers (political violence in response to conflicts abroad) occur in some migrant-background communities in the West. Based on survey data, statistical datasets, more than sixty interviews with Muslim community leaders and activists, ethnographic research in London and Detroit, and open-source data, this book develops a theoretical explanation for how both differences in government policies and features of migrant-background communities interact to influence the nature of foreign-policy focused activism in migrant communities. Utilizing rigorous, mixed-methods case study analysis, the author comparatively analyses the reactions of the Pakistani community in London and the Arab Muslim community in Detroit to the wars in Afghanistan and Iraq during the decade following 9/11. Both communities are politically mobilized and active. However, while London has experienced reactive conflict spillover, Detroit has remained largely peaceful. The key findings show that, with regards to activism in response to foreign policy events, Western Muslim communities primarily politically mobilize on the basis of their ethnic divisions. Nevertheless, one notable exception is the Arab-Israeli conflict, which is viewed through the Islamic lenses; and the common Islamic identity is important in driving mobilization domestically in response to Islamophobia, and counterterrorism policies and practices perceived to be discriminatory. Certain organizational arrangements involving minority community leaders, law enforcement, and government officials help to effectively contain excitable youth who may otherwise engage in deviant behavior. Overall, the following factors contribute to the creation of an environment where reactive conflict spillover is more likely to occur: policies allowing immigration of violent radicals, poor economic integration without extensive civil society inter-group ties, the presence of radical groups, and connections with radical networks abroad. Juris Pupcenoks is Assistant Professor of political science at Marist College, Poughkeepsie, NY. A specialist in international relations and comparative politics, Dr. Pupcenoks completed a B.A. degree at Westminster College (MO), and M.A. and Ph.D. degrees at the University of Delaware. He previously taught at the University of Delaware and Washington College (MD), the 10th-oldest college in the US. He has conducted field research in Muslim communities in the United Kingdom, Italy and the US, and published in journals including Nationalism and Ethnic Politics, Middle East Journal, and Journal of Muslim Minority Affairs. His research has been supported by grants and awards from the International Studies Association, University of Delaware and Marist College. International relations is a rapidly changing area of research, reacting to and anticipating an ever more integrated and globalised world. This series aims to publish the best new work in the field of international relations, and of politics more generally. Books in the series challenge existing empirical and normative theories, and advance new paradigms as well as presenting significant new research.